Welcome to Dr Lynda Thompson’s practice. Individualised treatments of acupuncture and Chinese herbal medicine in the centre of the commercial and residential community of Milnerton, Cape Town. Flexible treatment hours devised to fit around your schedule. Early morning and evening appointments are available. Please contact the rooms or make an online enquiry. Dr Lynda Thompson is based at Stodels Lifestyle centre, offering a professional service in a modern secure office, with a comfortable waiting area, and accessible parking. 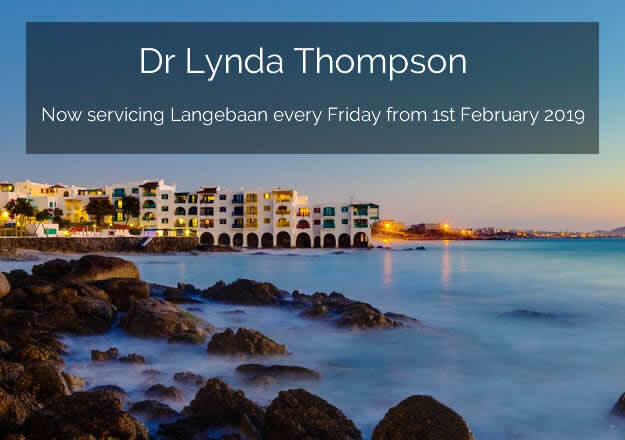 Dr Lynda Thompson (BSc, BCompMed, MSc Chinese Med) is a member of the Allied Health Professions Council of South Africa (AHPCSA) and the Association of Traditional Chinese Medicine United Kingdom (ATCM UK), as well as being a qualified enrolled nurse. She was the secretary to the Cape Town branch of the South African Association of Chinese Medicine and Acupuncture. Lynda has been working in health care for over 20 years. She has studied in South Africa, the United Kingdom and China and is passionate about cultivating long term relationships with her patients in order to help them achieve a healthy, composed existence in the often imbalanced world in which we live. She is knowledgeable about her practice; respects individual needs and provides quality service. Lynda worked in a successful, nationally renowned private clinic in the UK and was awarded her Masters degree from a London university. She has now returned to Cape Town, where she completed her undergraduate degrees in Chinese Medicine, bringing back new clinical skills and advanced treatment options. Dr Thompson was appointed as an Associate Lecturer at the University of the Western Cape and worked as a clinical supervisor at the university, sharing her international experience with future doctors. The focus at her rooms is on the individual patient. The core aim of the treatments is to improve a person’s quality of life and not just ameliorate symptoms. This form of medicine offers both effective treatment and preventative services and can be used to compliment and support conventional medicine.